Consider how frustrating it is to approach a traffic circle, or as we call them in Massachusetts, a rotary, during rush hour. 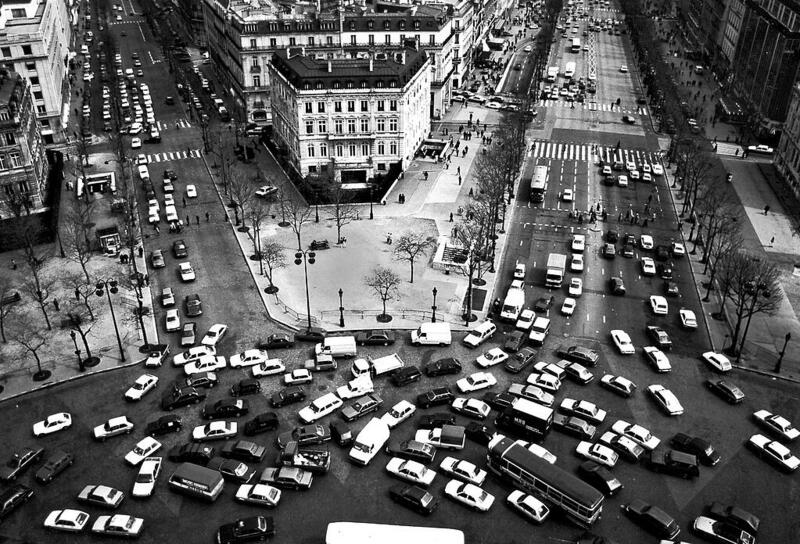 You very slowly make your way towards the circle in a long line of traffic, attempt to merge into a congested circle, travel around to the other side of the circle, and finally exit the other end. Being a bit impatient, I'm usually screaming to myself, "Come on - don't stop! - let's get moving - let's go!" 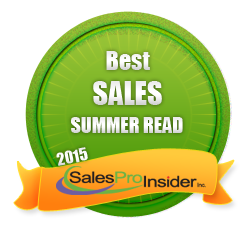 I play the salesperson's part and the salesperson plays the prospect. This is my preferred method as it demonstrates exactly what the conversation should sound like. I play the prospect and the salesperson plays the salesperson. This approach works best when conducting pre-call strategy and usually serves to show me how ill-equipped the salesperson is to have the desired conversation. The salesperson plays the salesperson and another salesperson plays the prospect. This type of role-play occurs later in training when the salesperson has the foundational skills to execute the sales process correctly and to play the sales part with some confidence. When I finally reach scenario 3 with salespeople playing their own part, it seems a lot like approaching the traffic circle. Let me explain. When there is a question they need to ask or they need to summarize what they heard, the traffic circle scenario comes to life. They slowly approach the circle, and when they finally reach the circle, travel around it a couple of times before exiting and finishing their comments. In other words, they talk in circles, confusing, distracting and boring their prospect. Take a step toward greatness: Be direct and concise because less is more memorable and powerful while being less confusing and boring. Consider how a professional baseball or golf coach may break down swing. Take a practice swing or two, get in your stance, use the proper grip, bend at the knees, open some at the waste and shoulders, eye on the ball, smooth, extend, hold your follow through, etc. If you want to hit the ball solidly you must do those things in that order, but you can't be saying those things to yourself as you get ready to swing or bad things will surely happen. You may have several talking points. You may have rehearsed or even memorized those points; what you want to say about them and the order in which you want to say them. But if you use your talking points and sequence, your prospect will be totally bored by the logic and mind-numbing time it takes for you to go through them. A step toward greatness: Abandon the formality and sequence and simply have a conversation. If there is a question or comment that makes it appropriate to introduce one of those talking points, then fine, but keep it conversational and do not become presentational. Don't you hate it when a good prospect derails your momentum by asking for references? This is truly a combustion point in selling. (There is a great Disney book on combustion points called Be our Guest) You don't know if the prospects really want to talk with people or are using the reference requests to get rid of you. You don't know whether to provide references, which ones to provide, whether they'll follow up with a call, or what your customers will say to them. Today, it's helpful to have video on your smart phone, of several happy customers that can speak to any concerns your prospects might have. No delays. No wondering. On demand references and testimonials. Take a step toward greatness: Everyone on the sales team must record a couple of great 1-minute videos from their best and happiest customers. The videos can be shared across the sales team so that everyone has a robust library of customers who can do the selling for you. Third-party testimonials are much more powerful than the promises of a salesperson any day of the week. 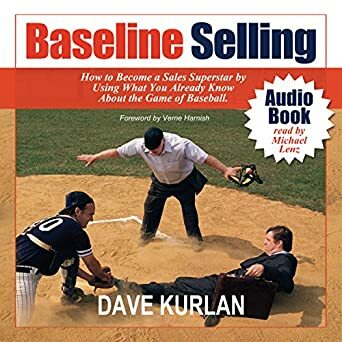 Speaking of testimonials, many of you have read my best-selling book, Baseline Selling. 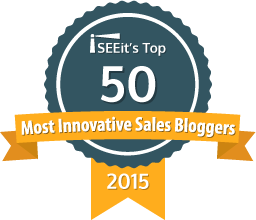 Since writing that book, I have written, shared (complimentary) and given you the opportunity to read more than 1,700 articles on sales and sales leadership right here on my Blog. I would be most grateful if you would return the favor by writing a review of my book at Amazon.com.